Tel Aviv shoegaze band Vaadat Charigim will tour the U.S. for the first time this year, beginning with a performance at SXSW. The group has also released a new video for “Ein Nehama Ladoachim,” which can be streamed below. Check below for the full list of dates and additional details. Tel Aviv shoegaze band and recent Burger Records signing will make their live US debut at this year’s SXSW music festival in Austin. Stay tuned for their full schedule of SXSW shows. The group is set to play a week-long stint of shows up the East Coast following SXSW, including two New York shows (Pianos on March 21 and Silent Barn on March 22). Full list of tour dates below. Today the band shares the video for their song “Ein Nehama Ladoachim.” Check out the video over at Under The Radar. The song is from their debut album ‘The World Is Well Lost’ out now via Burger Records (cassette), Israeli label ANOVA (CD/digital) and Warm Ratio (vinyl). 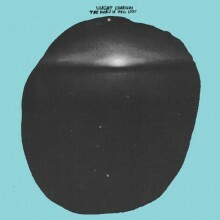 Tel Aviv natives, Vaadat Charigim are a trio consisting of Juval Haring (guitar+vocals), Yuval Guttman (drums) and Dan Fabian Bloch (bass). Their music is a blend of 80s Israeli underground rock with a more European Post-Punk sound, drawing influence from local noise pioneers Plastic Venus, as well as Israeli post-punkers Minimal Compact. Despite the fact that all their songs are in Hebrew, the band has been steadily developing a strong international following, partly due to Haring’s unique vocal style. Producer Kyle “Slick” Johnson (Modest Mouse, Wavves, Cymbals Eat Guitars) worked together with the band on their debut album – ‘The World is Well Lost’, which was recorded by the band in a south Tel-Aviv apartment. It is set to be released November 12 through Burger Records (cassette), Warm Ratio (vinyl), and Israeli label ANOVA (CD/digital).